WHAT INSPIRED YOU TO BECOME A WRITER? I grew up in a large family in which word play was valued, and I learned early how to make people laugh. Eventually I developed the capacity to do this on the page, and I was off and running. I also was a voracious reader (mostly in my closet, because our house was always filled with noise and confusion). I especially loved historical fiction, and wanted to write such stories of my own. HOW DID YOU GET THE IDEA FOR YOUR AWARD-WINNING BOOK? Twenty years ago, on a Jane Austen tour in the U.K., I met an elderly woman whose great-grandmother had been kissed as a child by Lafayette on his 1824-5 Farewell Tour. That kiss had come down in her family to her, and, of course, I immediately asked her to kiss me, so I can now say I've been kissed by someone who was kissed by someone who was kissed by someone who had been kissed by Lafayette. That piqued my interest in what Lafayette did for us in the American Revolution, and in his Farewell Tour, which brought him - I later realized - right by the house where I live in a small town in New Hampshire. I also had come across a family situation in my own family tree, in the early 1800s, in which a widower married his late wife's sister. I thought that might have been difficult for his children to understand or accept. I put these elements together and the result was A Buss from Lafayette. WHICH OF YOUR CHARACTERS FROM YOUR AWARD-WINNING TITLE DO YOU BELIEVE ARE MOST LIKE YOU AND WHY? Clara, of course, or at least I was like her when I was her age. She loves to make puns, she loves to learn, and she is somewhat tormented by her older brother. In addition, she is a rather late "bloomer," and feels awkward in social situations with her peers. My mother, like Clara's stepmother, also insisted I went to dances. I usually felt like a wallflower and mostly sat outside the gym in the hallway chatting with Officer Monk, the policeman there to 'keep order', or whatever. 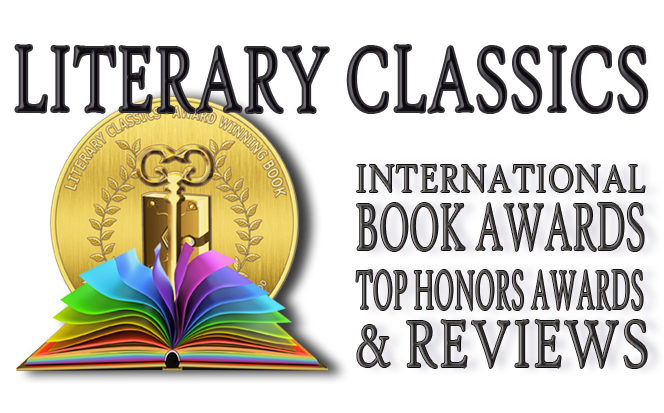 WHAT MESSAGE DO YOU HOPE READERS WILL GLEAN FROM YOUR AWARD- WINNING BOOK? Sometimes things are quite different from what they appear to be on the surface. TELL US SOMETHING FUNNY ABOUT YOUR EXPERIENCE AS A WRITER: Visiting a classroom in which the kids could see my author photo taken many years before when my first historical novel for kids, The Riddle of Penncroft Farm was published. One student looked at that photo and said in obvious surprise, "You used to be pretty, Mrs. Jensen!" I replied, "Thank you. . .I think." IF YOU COULD BE COMPARED TO A WELL-KNOWN AUTHOR WHO WOULD YOU MOST WANT THIS TO BE AND WHY? Elizabeth George Speare, who wrote The Witch of Blackbird Pond. WHAT PERSON HAS HAD THE GREATEST IMPACT ON YOUR LIFE? Obviously, meeting and marrying my husband, David, with whom I recently celebrated our 50th anniversary. Not only has he challenged my brain and appreciated my humor, but he has always given me the space to pursue writing. HOW DID YOU FIND AN AGENT / GET PUBLISHED? I heard there was a small publisher near my house, so I walked three blocks down the street where I lived, gathered my courage, and gave them a manuscript of my story. It was not the pristine version I was saving to send to NYC, but one with coffee stains etc. It turned out that this place was a"packager" for a major publisher, and ended up publishing three books that I co-wrote with a friend. After that I started writing by myself. IF A CLOSE FRIEND OR LOVED ONE WANTED TO WRITE A BOOK, WHAT GREATEST PIECE OF ADVICE WOULD YOU GIVE THEM? Just do it. CAN YOU OFFER ANY ADVICE FOR WRITERS ON HOW BEST TO PROMOTE THEIR BOOK? Be yourself online in as many places as possible. WHAT HAS BEEN YOUR GREATEST LITERARY HONOR? A rave review/A+ book report of my first historical novel for kids, The Riddle of Penncroft Farm, written by my oldest grandson, Stuart, aged 10. WHAT ARE YOUR GREATEST LITERARY ASPIRATIONS? I hope to sometime get the Laura Ingalls Wilder Award for my historical fiction. (I read all her books in the early 50s, and finished the last one when I was in 3rd grade. My teacher told my mother I had cried all day because there were no more of her stories to read.) I also recently discovered that Laura and I share a 17th century ancestor (along with millions of other people), which, needless to say, delighted me! TELL US SOMETHING PEOPLE MAY NOT KNOW ABOUT YOU THAT THEY MIGHT FIND INTERESTING: For a number of years, I performed with amateur and professional theater/opera companies. As a contralto/mezzo, I almost always lose the hero to the soprano. In 1675, a teenaged boy who has trained his entire life for a career as an actor in Restoration London finds himself accidentally transported to Massachusetts Colony, where he knows the Puritans consider the theater to be a terrible evil. It is a time of great unrest and fear, as the Wampanoag and other Native American tribes are realizing that the English settlers are an unsettling, permanent, and growing presence in their midst. For their part, some of the superstitious colonists insist they keep seeing a scalp on the moon, a portent that something terrible is about to happen. With the outbreak of King Philip’s War this portent proves all too accurate. In this fifth installment of Santa’s Izzy Elves series, the Izzy Elves and Santa Claus decide to go on vacation. Bizzy, the self-proclaimed internet whiz, finds a place for them all to visit where they can blend in nicely with the rest of the crowd. Or so he thinks!